If you are using a public (internet cafe) computer then of course you would expect that closing your browser window logs you out of your email. However, if you are on your own phone, tablet, laptop, then you might find it an irritation that you need to keep entering usernames and passwords to get back into your email account. 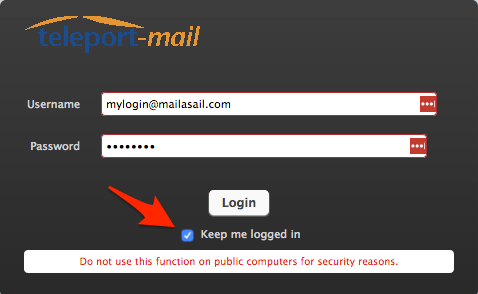 We've added a persistent login feature when you are logging into webmail and clicking here will keep you logged into your webmail even after you close the browser and re-open. Obviously ONLY do this on devices that are secure and under your control! 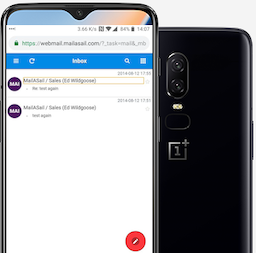 MailASail's webmail has recently received a lot of love and upgrades and in our opinion is now a viable, full time replacement for your desktop mail client. In particular it now works well on mobile phones/tablets, so often there is no need to setup your "mail app" on your phone. The current version is easy to access from any device and super simple to use, so why not sign in now and give it a try?